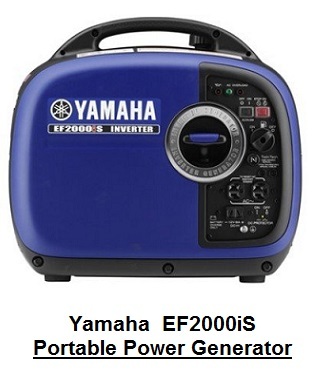 Compare Portable Power Generators: WEN, DuroStar or Yamaha? Though power outages are not frequent in the US, they do happen under stormy conditions, and when they do, having a generator becomes critical as it will allow you to run small kitchen appliances like your coffee maker or slow cooker as well as the larger ones like your refrigerator or your TV set, and it will allow you to recharge your smartphones and computers. Generators can be either stationary or portable. Portable generators cost less than stationary ones, they don't need complicated installations, and they can also be used for various outdoor activities such as camping, boating, tailgate partying, etc. But as they run on gasoline or propane, one needs to be careful and mindful of storing carefully large quantities of fuel. An important question to ask when looking for a portable generator has to do with its size. Portable generators are rated for their starting power (also known as the surge power) and their running power. This because many electric appliances and devices need a certain level of power to run continuously, but they also need some extra power to start. For a refrigerator/freezer, for instance, which is the appliance probably most used with portable generators, the running power is around 800-900 watts and the surge power could go up to 1000 watts. So, when deciding which size generator to get, you should consider one that can provide the totality of surge and running power required by all the appliances and electric devices you will be powering at the same time. The user guide that comes with electric appliances and devices usually provide the power requirement of the unit. Note: If the portable generators compared below do not provide the total power you need for the appliances you will need to power all at the same time during a power outage, please click All Portable Generator on Amazon to find a generator of suitable size. This article will compare WEN 56180, DuroStar DS4000S and Yamaha EF2000iS portable power generators. These were not just the most popular among Amazon customers in the under-5000Watts category at the time this article was written, but they had also received excellent reviews from most Amazon buyers (an average rating of 4.5 stars each out of 5 stars!). Selected Portable Power Generators on Amazon. WEN includes two 120V 12.5 Amp AC, 3-prong outlets (standard household plugs). DuroStar includes two 120 Volt, 20 Amp AC, 3-prong outlets (standard household plugs), and one120 Volt, 30 Amp AC twist lock outlet. 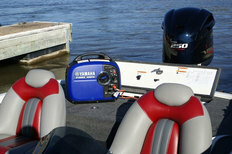 Yamaha includes two 120 Volt, 13.3-16.7 Amp AC, 3-prong outlets (standard household plugs). WEN includes one cigarette-lighter-style 12V DC outlet. Yamaha includes one 12 V DC, 6.5 Amp outlet. The generator comes with the DC connector so that batteries and other 12V applications can be powered from it. WEN has a 98cc OHV engine with forced air cooling system. DuroStar has a 7.0-Hp OHV engine with forced air cooling system. Yamaha has a 79cc OHV engine with forced air cooling system. Note that an Overhead Valve Engine (OHV) is an engine in which the valves are placed over the cylinder head. These types of enginesare more compact and dissipate heat efficiently, allowing for both a longer life and optimal fuel consumption. The Yamaha EF2000iS uses an innovative inverter system, which produce cleaner and higher-quality electricity than most other generators. The energy is produced in the form of pure sine waves, which are cleaner and more reliable than the energy produced by most commercial power sources. This means that you won't have to worry about any damage to be caused by unrefined energy when you power your delicate electrical appliances. Note also that the generator is equipped with an electrical overload breaker that prevents any damage in case of unexpected overload. Thanks to its Smart Throttle feature, the generator automatically adjusts engine speed to match the load, saving fuel, reducing noise as well as engine wear. Low-oil shutdown feature safeguards the OHV engine from damage. This feature comes with all three generators. Spark arrestor permits usage while camping in national parks and forests. 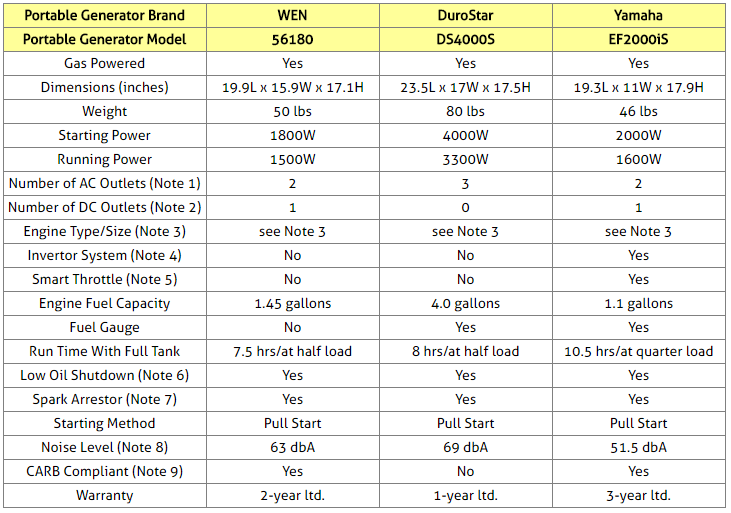 With respectively 63 db and 69 db noise levels, WEN 56180 and DuroStar DS4000S generators are not exactly super quiet, but they are not so loud either that you'd need to raise your voice when talking. Yamaha EF2000iS uses noise reduction technologies to ensure quieter operation. The generator has noise-absorbing glass wool construction which helps dampen noise even during heavy operation, and together with the super-quiet muffler and vibration-isolating feet, noise is kept to a minimum (around 51.5 db). CARB is an acronym for the California Air Resources Board which is the "clean air agency" in the government of California. 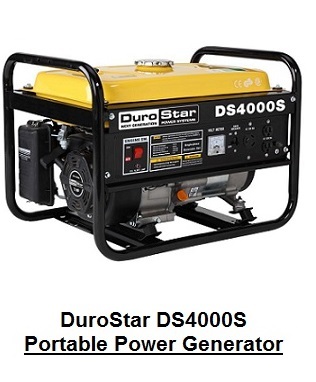 ​For exact price information of these portable generators, please refer to the Amazon section below. So which of the three power generators to choose? The three portable power generators considered here are excellent products as shown by the average rating each had received from Amazon customers. Indeed, all three had received 4.5 stars (out of 5 stars) at the time this article was written. Therefore, there is a good chance that you would be quite happy with any of these three products. It uses an innovative inverter system, which produces cleaner and higher-quality electricity than most other generators, so you don't have to worry about damaging delicate equipment with unrefined energy. It uses noise reduction technologies to ensure quieter operation. It is lighter and has bag-like carry handle which makes it easier to carry around. On the other hand, note that, of the three generators considered here, DuroStar DS4000S is the one that delivers the largest amount of power. But it is slightly noisier and quite a bit heavier than the other two. However, DuroStar DS4000S can be purchased with a wheel kit which makes moving it around much easier (see Amazon section). Please click the power generator of your choice below for price information or to purchase. 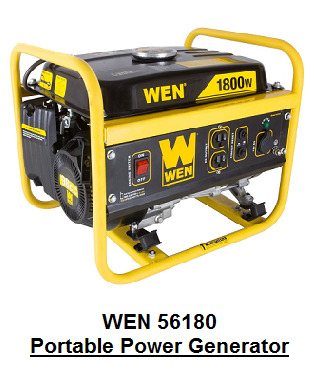 When you click the WEN product link image, additional generator power sizes will also be offered to choose from.